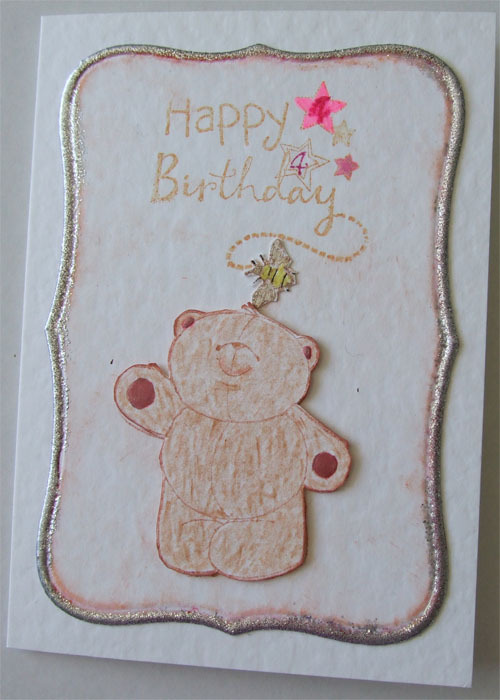 This baby girl card is for friends of Alex, but as I know them well made this for them. 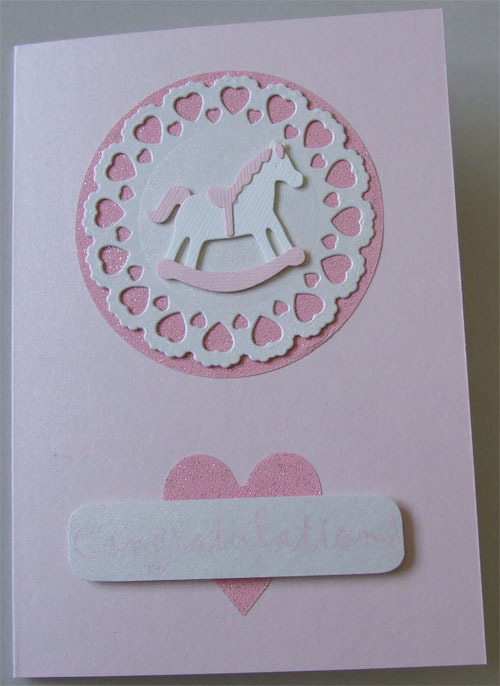 This wedding card is for friends daughter, who works with Stacy, so again I know the couple well. This is for the youngster whos 4th party we were at on Sunday. Acacia is also known as Bee, which is why there is a bee on the card. Sweet cards, Alison - are the hearts on the middle one an embossing folder, or did you buy the card blank like that? What a pretty name Acacia, I particularly like the middle one, a nice bunch there Scatty. 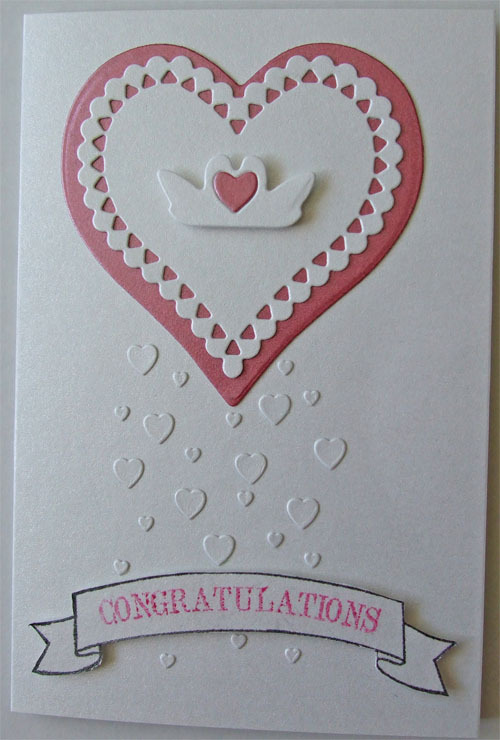 Lovely cards, I like the embossed hearts too.